Startups have more tools at their disposal today than they did in the last decade. From coworking spaces to easily integrated marketing tools, startups should be aware of the new resources they can take advantage of in the digital age. More and more freelancers are entering the market, but some are more equipped than others. If you're a greenhorn freelancer or you want to step up your game, these five tips can effectively help bolster your skills. Despite what some people think, us women still need to fight more than men to reach our goals, to gain trust and to establish mutual respect. As women in the business world, it can be difficult to achieve something important; so, whenever we do, we must have the confidence in ourselves and in our abilities to know that we deserve every part of it. The growing availability of hubs and coworking spaces with high-speed internet and plug-and-play work stations have offered flexibility for businesses to shift their employees from the traditional office space to out-of-office solutions. A fantastic workspace is not anymore just “additional perks” for the employees. Having a flexible office space, or at least a space which inspires creativity and boosts productivity, is slowly becoming a “must-have” for companies to attract, engage, and retain their talents and workforce. Female leaders in workplaces around the Philippines are leading the way for a corporate revolution -- one with women at the helm. From huge organizations in skyscrapers to start-ups in flexible office spaces, women are taking more dynamic and challenging roles, debunking stereotypes while doing so. Many foreign companies, entrepreneurs, and investors choose to offshore or outsource jobs to cut operational costs. 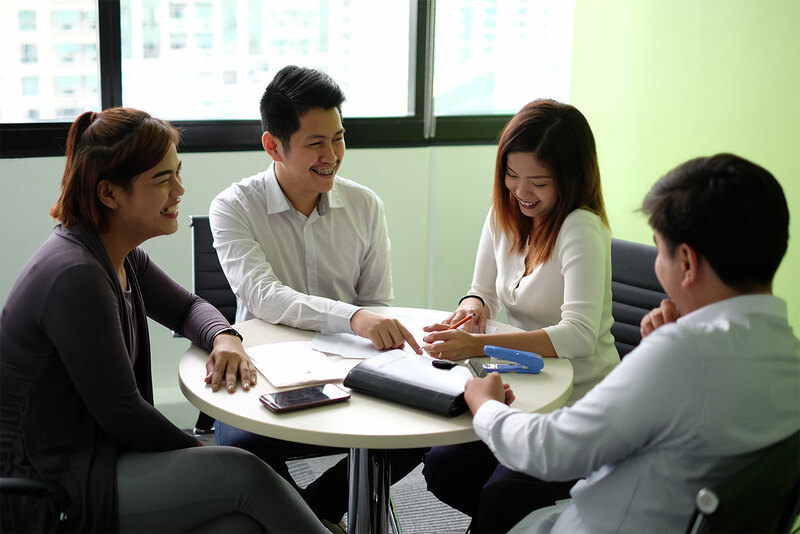 To encourage investment into the country, the Philippine government provides benefits and incentives to foreign entities in the form of tax holidays and exemptions. While some workers are tied to their desks in a standard 9 a.m. to 5 p.m. shift, in some workplaces, employees are given a more flexible working arrangement. They can pick their own work hours or days within a set period or given limits. They can come in later than the standard hours or make some allowances or adjustments to be able to clock out early. The flexible work schedule may even allow work-from-home options or working remotely from any location where mobile Internet is available in order to communicate electronically with clients and other co-workers.